Steven Woods serves as the manager of Trauma Services at St. Louis Children’s Hospital, a level one, American College of Surgeons (ACS) verified, pediatric trauma center in St. Louis. The trauma and injury prevention program at St. Louis Children’s Hospital has established itself as a resource for the entire region, and holds dual trauma designations in Missouri and Illinois. In addition to serving the bi-state area, the hospital also treats patients from across the country. Steven has worked in both academic and community based trauma programs, building a broad base of experience related to pre-hospital and emergency care, acute trauma care, injury prevention, clinical outreach and education, and critical care experience. 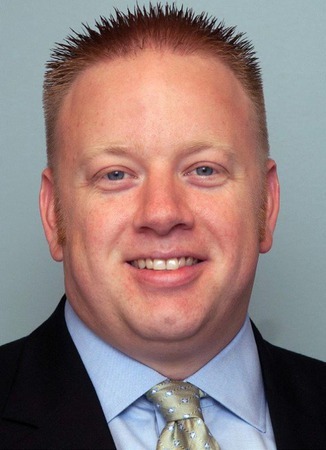 He holds a Bachelor of Science in Nursing (BSN) degree from Central Methodist University, and earned his Master of Business Administration (MBA) from Lindenwood University. He is a respected clinical leader and valued member of professional organizations at the local, state, and national levels. He has focused much of his career on trauma care, trauma system development and reducing unintentional injuries in kids all the while advocating for laws and practices that protect children. As a clinical leader within his community, he has developed numerous strategies and programs related to injury prevention and trauma. Steven has been providing community and professional outreach for many years, and continues to serve as a resource for his community. He has leveraged his skills, knowledge and experience toward advancing - the quality of life for kids within Missouri and Illinois, in hopes of a safer America. In addition to his role at St. Louis Children’s Hospital, Steven is also involved with community, government and professional organizations related to trauma and injury prevention. Through those memberships, Steven ardently advocates for injury and violence prevention and education programs, trauma system development and trauma care at the local, regional, state and national levels. His commitment and passion for kids and keeping them safe is evident in his work as an injury prevention champion and trauma leader. Steven Woods is available to answer your group's questions via telephone or e-mail. Steven Woods is available to travel to speak to your group in person.